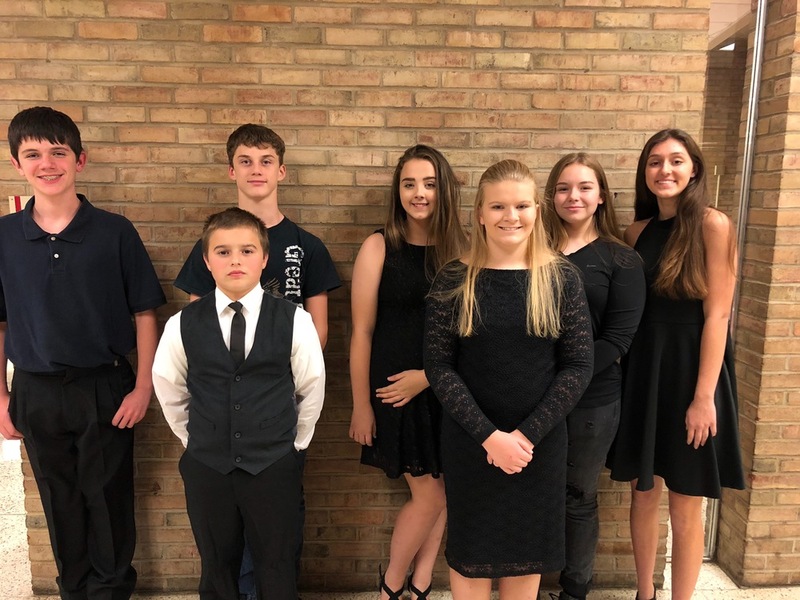 Seven West Greene students participated in the inaugural Jr. High County Band and Choir Festival, held at Waynesburg Central High School on November 15 and 16. Seventh- and eighth-grade students from all five districts in Greene County came together for the two day festival that culminated in a concert on Friday night. During their time together the students were given the opportunity to work with band and choir directors from around the county and to perform in a large ensemble setting. The concert was well received by the several hundred community members in attendance. Several school administrators were also able to be there.